Researchers are looking at unexpected species for the intelligence to solve puzzles like finding the best route through a maze. The scientific agenda is focused on the slime’s cells, which appear to be able to process and optimize the growth pattern of the mold. These cells also avoid those forces that may damage them, such as light. "Wait," the slime mold said. "One item more; in exchange for my silence ... I would like a favor." So there had been a catch to it. He was not surprised; after all, Lord Running Clam was a business-creature. The slime mold said, "I insist, Mr. Rittersdorf, that you take the job which Mr. Hentman is offering at this very moment." "What about my job with the CIA? Chuck demanded. "You need not give that up; you can hold both jobs." 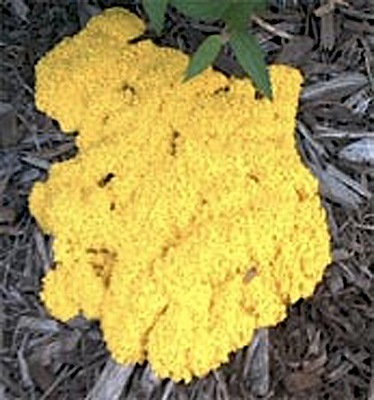 The slime mold's thoughts were confident. "By um, moonlighting it." "'Moonlighting.' Where did you get hold of that term?" "I am an expert on Terran society," the slime mold informed him. "As I envision it, you will hold the job with CIA by day, the job with Bunny Hentman by night. To accomplish this you will need drugs, thalamic stimulants of the hexo-amphetamine class, which are illegal on Terra. However I will provide them; I have contacts off this planet and can procure the drugs easily. You will need no sleep at all, once your brain metabolism has been stimulated by --"
From Asia News via our Friends at Frolix_8.